Scott Shimberg spreads an enormous map across a conference table, and sweeps his hand over the geographic picture of east Tampa. One roadway in particular gets his attention — 22nd Street. He sees a roadway that is noteworthy as a connector to neighborhoods — Ybor City and the Channel District among them — and a quick shuttle to Interstate 4 ramps that lead to downtown Tampa or points of interest east and west of a growing urban core. The city has invested millions of dollars into 22nd, updating it with new paving, sidewalks and bicycle lanes. A roundabout drew controversy before it was built in 2013 at at the junction of North 22nd Street, East 22nd Avenue, East 23rd Avenue and North 21st Street, but it is something Shimberg points to with approval. East Tampa is where Shimberg, his wife and business partner Heidi Shimberg, and their company Hyde Park Builders, are focused on a picture puzzle piece that snaps snugly into Tampa’s future. For many developers that future encapsulates upscale high-rise towers in downtown, Port Tampa and the Channel District. The Shimbergs have a different perspective on Tampa’s future street scape. 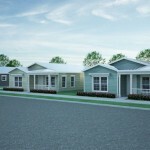 It includes affordable single-family housing within the outer ring of neighborhoods encircling Tampa’s urban rebirth. And 22nd Street is their starting point. The Shimbergs soon will break ground on three single-family residences on the corner of 19th Avenue and 22nd Street, within the borders of the East Tampa Community Redevelopment Area. That is the beginning of a building spree on some 70 lots spread across neighborhoods in the greater east Tampa area, north and east of downtown Tampa. Their investment is an estimated $7 million to $8 million dollars. The sales price for each home will be between $150,000 to $170,000. For decades residents in Ybor City, V.M. 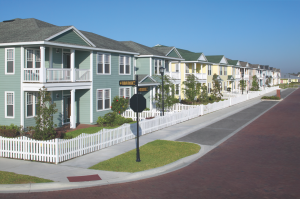 Ybor and Tampa Heights have been on the front lines of holding blight at bay. They’ve lived through hopeful days before the recession; and retrenchment afterward as the real estate spiral took its toll. Vacant lots grew weedy; vacant houses crumbled. Now, as real estate recovers, new construction is popping up in some neighborhoods, such as Seminole Heights. Most often a new bungalow appears on a vacant lot or replaces a dilapidated structure torn down. 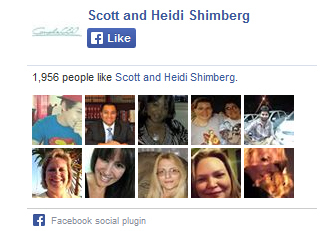 But, in most neighborhoods, nothing is happening on the scale proposed by the Shimbergs, and with private investment. The one exception is the city’s on-going efforts to tear down the old in Sulphur Springs and build dozens of new single-family homes. Construction on this public/private venture began in 2014. While most of the new homes will be east of downtown, neighborhoods around the edges of his reach, such as V.M. Ybor, could eventually benefit if more home builders follow the Shimbergs’ lead. Shimberg is clear on what he wants — home buyers not home investors. The new homes are intended to give buying options to young professionals, teachers, nurses, firefighters and seniors who are joining the mix of those who yearn for the experience of modern urban living but can’t afford top dollar to live expensively in downtown. The youthful South Tampa couple have a track record of success. They have been a team for more than two decades in building and selling more than a quarter billion dollars in real estate in the Tampa Bay region, including in South Tampa and downtown St. Petersburg. Heidi Shimberg headed up the fund-raising efforts for the Glazer Children’s Museum. She now serves as external relations director for the $26 million project to transform the historical Fort Homer W. Hesterly Armory on Howard Avenue into the Bryan Glazer Family Jewish Community Center. Scott Shimberg will do the building; Heidi Shimberg will handle sales. Together the Shimbergs wrote Couple CEO, a guide to how entrepreneurial couples can successfully blend business and personal lives. Though Scott Shimberg wouldn’t describe himself as a “tool belt” kind of guy, construction is his family’s life blood. His father, Mandell “Hinks” Shimberg, and his uncle, the late James Shimberg Sr., along with partner Charles LaMonte, built one of the city’s first suburbs — Town ‘N Country — back in the 1960s. They transformed cow pastures and a dairy farm in northwest Hillsborough County into a family-oriented neighborhood with street grids, sidewalks and ranch-style homes. The 70 lots in the east Tampa area are a legacy from an ambitious project proposed more than a decade ago by Civitas, a group of developers that included Shimberg, his father Hinks Shimberg, developer Bill Bishop and former Hillsborough County Commissioner Ed Turanchik. A key element of the project included a tear down of public housing at Central Park Village, north of downtown. It was a complex well past its prime but one with deep roots in the black community and its former commercial heartbeat along Central Avenue. Urban renewal, with highways plowing through in the 1960s and ‘70s, devastated this historical neighborhood; the Great Recession in 2008 halted a real estate boom that promised an economic revival for Central Park and other Tampa neighborhoods. The now-defunct Civitas group couldn’t convince Tampa City Council it had a winning plan. Instead the city and Tampa Housing Authority put their energies into another project also centered on a teardown of Central Park Village. In its place, ENCORE! Tampa, a mixed-use, mixed-income village center, rose on the former public housing site, north of downtown between Nebraska Avenue and Interstate 4. Residents now are populating ENCORE!, filling up apartments with young families and seniors. The buildings there are winning national awards for sustainability. Plans call for shops, a school, a grocery store and green space making it a walkable neighborhood. It is another puzzle piece bringing a new Tampa into focus. Across downtown’s landscape, developers are cashing in on the trend for upscale, mostly high-rise towers that will redefine Tampa’s skyline. A few blocks away Port Tampa Bay and the Channel District are adding to the buzz. Tampa Bay Lightning owner Jeff Vinik unveiled his $1 billion redevelopment vision for the Tampa Waterfront District with 3 million square feet of retail, housing and entertainment venues. A relocated Morsani College of Medicine and the USF Heart Health Institute will be anchor institutions for downtown’s exploding growth. Port Tampa Bay recently announced its grand concept for 45 acres of port-owned land along Channelside Drive and the Ybor Channel. With $1.5 billion in private funding, the Tampa Port Authority proposes 9 million square feet of residential, retail, office and hotel development. A park, marina, a multi-use cruise terminal and two of the tallest towers on Florida’s West Coast are in the long-range master-planned transformation of Tampa’s industrial waterfront. As downtown and its nearby untapped land is gobbled up, the real estate for luxury apartments and condominiums is growing scarcer, and pricier. And that is beginning to entice investors into Tampa’s oldest neighborhoods. Mid-rise apartments and town houses are showing up in North Hyde Park, West Tampa and Westshore along with new shops and restaurants. The Shimbergs’ timing for neighborhood redevelopment is on target in today’s market. “I think we’re seeing it in all of the neighborhoods,” says McDonaugh. The real estate bust and a roiling economy halted much of the forward movement in commercial and residential development. But the recovery has left in its wake two reasons why developers are back in motion. Property values are rising but are still on the low side, and the U.S. Federal Reserve, wary of slowing the recovery, so far is keeping interest rates low. “It’s led to the ability to build some affordable housing,” McDonaugh says. Tampa Heights, Seminole Heights, North Hyde Park, Carver City and Westshore are among the neighborhoods benefiting from new residential investments. Westshore led by the Westshore Alliance, in particular, is transforming as new apartment complexes and shops sprout along Westshore Boulevard and Boy Scout Road, connecting Westshore Plaza and International Plaza. The East Tampa special tax district (CRA) has been a focus of the city’s efforts to end blight and redevelop communities for more than a decade. A portion of tax revenues from a special district is reinvested in community projects. Collaborations of public and private sectors have fueled much of the improvements. The discount store recently opened on a former automobile dealership site that had blighted the community for years. Other nearby developments include Yummy House and Fifth Third Bank. And 22nd is a link, north to south. The missing element that the Shimbergs see is single-family homes with price tags that fit the pocketbooks of people with modest means. East Tampa could be ready for its next development phase. As the Shimbergs embark on their 70-home project, the nonprofit Corporation to Develop Communities of Tampa also plans to build about 50 single-family homes within East Tampa’s CRA. The first construction is slated for more than a dozen homes clustered together. “We’re trying to do it as an enclave so it’s not scattered to give it more of a signature project in East Tampa,” says Ernest Coney, Jr., the CDC of Tampa’s CEO. Sales prices for Beacon Homes are estimated between $115,000 to $140,000, targeting some of the same homebuyers as the Shimbergs want to attract, including teachers and firefighters. But Coney says people with low-wage jobs, such as janitors, can also afford the homes. “We don’t want to end up displacing people who grew up in this neighborhood,” he says. And the CDC wants to preserve the neighborhood character. “We have a front porch community here, where a front porch means something,” Coney says. From a bird’s eye view, east Tampa is positioned as a placemaker in the wider view of Tampa’s new growth. The Shimbergs are ready to start moving dirt.